I have one last layout to share from the July issue of GCD Studios magazine. One of our vacation traditions is buying souvenir patches from each of the places we visit. 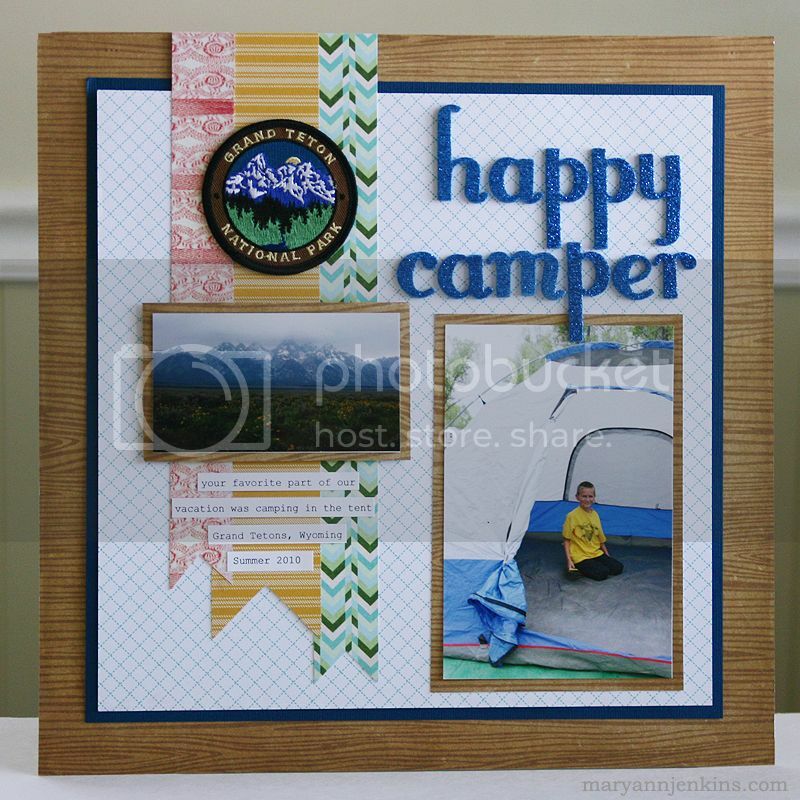 They are fun to collect and make great embellishments on our vacation layouts. 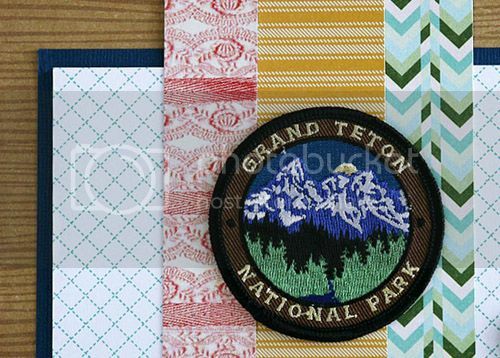 On this page I included the patch from Grand Teton National Park. A perfect way to remember all the fun places we travel to! Love your CAS style and those layered banners look perfect on your page. Love it, those blue letters stand out so wonderfully. Love your layout. That background paper is perfect for the topic you scrapped. Love how you used the patch! Beautiful page! Wow...that is so effective...I am going to remember to pick those patches up when we are on our next vacation. I love your scrappy style!!! Thanks for sharing!! Beautiful layout!! I love that you were able to use that patch! !